“I would not consider Frosted Flakes the food of an Olympian,” said nutritionist Rebecca Solomon of Mount Sinai Medical Center. 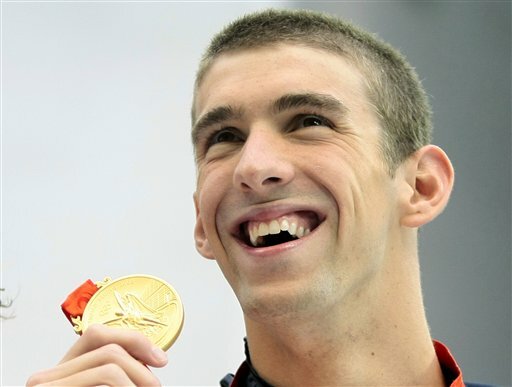 The announcement yesterday that Phelps, 23, winner of a record eight gold medals at the Beijing Olympics, would grace Frosted Flakes and Corn Flakes boxes instead of the traditional athlete’s choice of Wheaties left many perplexed. Frosted Flakes has three times the amount of sugar as Wheaties and 1/3rd the fiber. This doesn’t matter much to a virtuoso swimmer who consumes 12,000 calories a day. Still, in a country where childhood obesity is an alarming issue, Phelps’ iconic image sharing space with Tony the Tiger sends the wrong message, experts say. “For a guy like Michael Phelps who isn’t worried about obesity because he’s burning thousands of calories as an athlete…eating Corn Flakes and Frosted Flakes every so often is not an issue,” Solomon said. I agree with the health experts, Frosted Flakes do taste better — unless you coat Corn Flakes with six tablespoons of sugar.